February 2, 2015 (Tony Cartalucci - ATN) - Imagine a bomb going off in New York City's Times Square and the US government making an announcement about the Super Bowl instead. That's just what happened in Thailand Sunday evening when a double bombing took place in the very heart of downtown Bangkok. 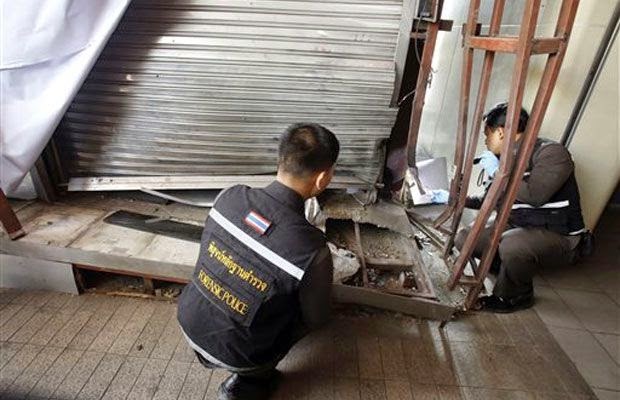 While there were no injuries, it is a dangerous sign sent by incredibly dangerous terrorists who have killed hundreds of people in the past 10 years as part of deposed prime minister Thaksin Shinawatra's bid to claw his way back into power. In the wake of the bombing, the US Embassy in Thailand neither warned people about the violence, nor condemned it. Instead, the official US Embassy Twitter account congratulated the New England Patriots for their win during the Fortune 500 social-engineering sporting spectacle, the Super Bowl. If you visit the US Embassy's website, the first link is to information about the "roles of civil society and political institutions on democratization in Thailand," or in plain English, US-backed subversion aimed at overwriting Thailand's indigenous institutions with foreign-backed NGOs that serve foreign interests. The story features a publication titled, "Democratic Regression in Thailand (.pdf)," referring to the ousting of US-backed dictator and mass murderer, Thaksin Shianwatra. Bangkok, as a means to leverage concessions from the current government. 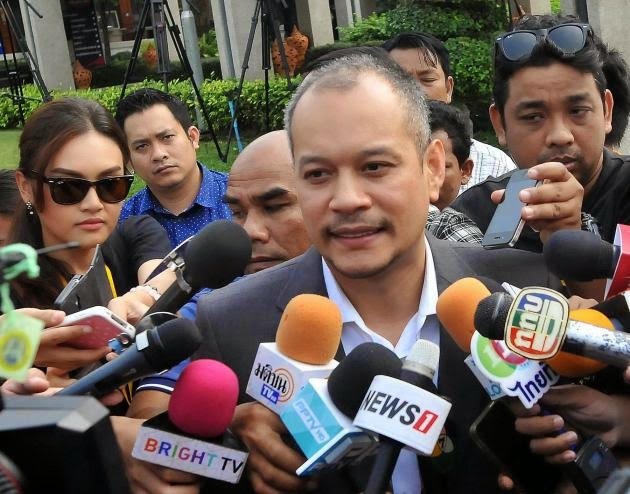 Reuters, BBC, CNN, and others who were last year were hysterical over protests aimed at ousting the Shinawatra family, claiming they were "anti-democratic militants," brushed off the bombing as a non-event - with some even inferring the current government may have staged it - a tempting theory if Shinawatra's political party didn't openly threaten to bomb Bangkok just days ago, as reported by the Nation. The bombing is most likely a trial balloon to see how the government reacts, with more likely to follow if the US believes it can sufficiently destabilize Thailand and the popularity of the current government in order to either stage large protests or execute a US-backed "counter-coup" or a combination of both. The bombing may have been small, but the implications are large. Complacency is precisely what the perpetrators of this attack need to move on to the next step. Galvanized resistance and demonstrable resolve will indicate to the terrorists and their sponsors that they have met yet another obstacle in their efforts undermine and overthrow Thailand's current sociopolitical order.